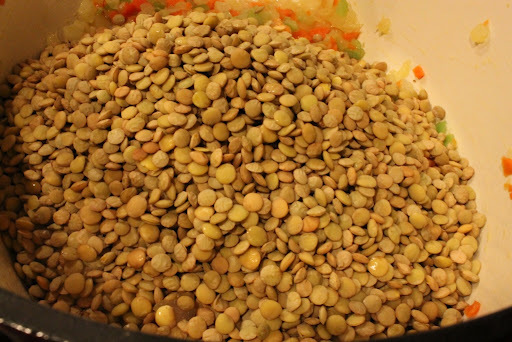 I’ve skipped ahead again…I really wanted to make Lentil soup and I thought who can make it better than Alton 🙂 It takes about 45 minutes to make so you need to have a little patience, but I promise you it is so worth the wait. 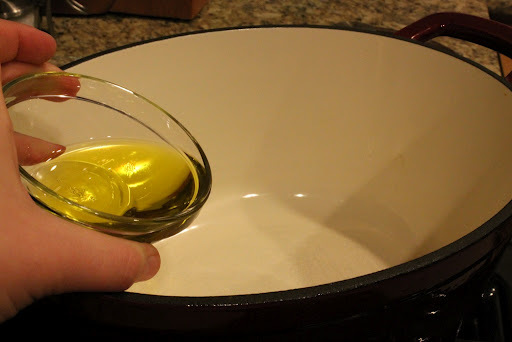 Put some oil in your Dutch Oven, if you don’t have one go get one! 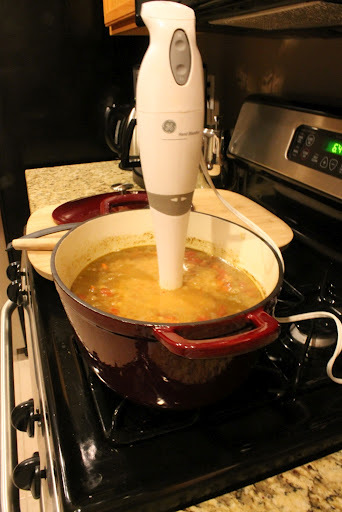 Or you can use a heavy soup pot. 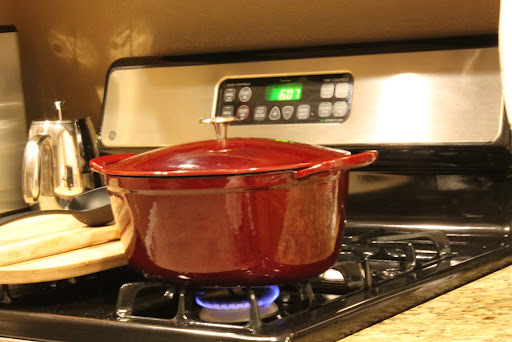 I am Pro Dutch Oven! 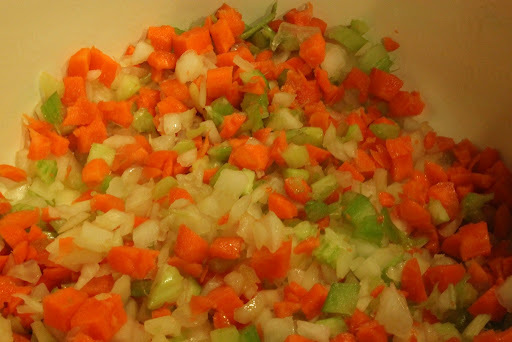 Chop up carrots, celery and onions aka the 3 wise men, or buy them pre-chopped for under a buck like did! Thank you once again Fresh and Easy! Toast your cumin, just a few minutes in a frying pan until you can smell it. It will make all the difference in the world, I promise. 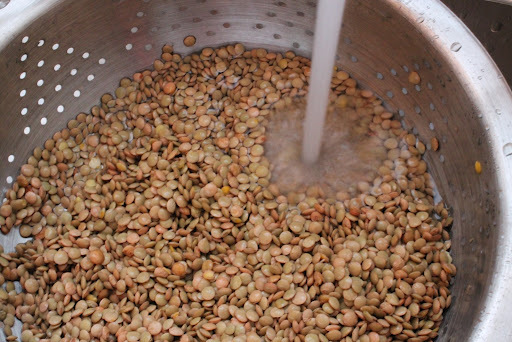 Add this with the Coriander and toss in the soup. Put the lid on and walk away…I said walk away, why are you still here?? 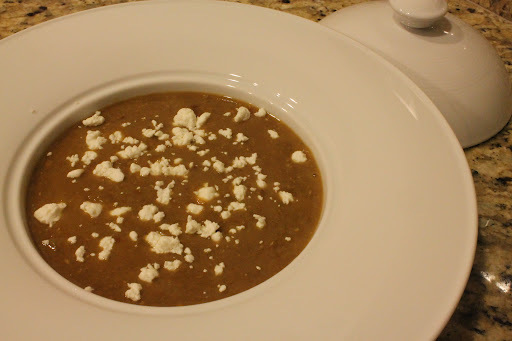 Put in your fancy soup bowls you never use but had to have and top with a little Goat Cheese, cause…well…why not, Goat Cheese makes everything better. 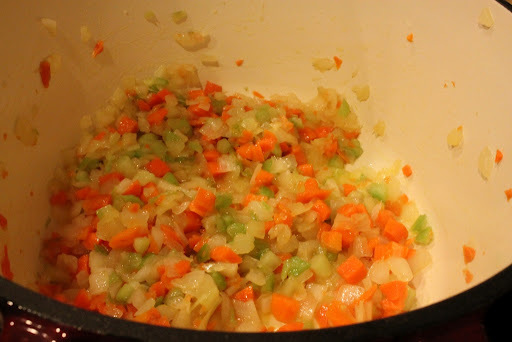 Add the olive oil into Dutch oven or heavy soup pot on medium heat. 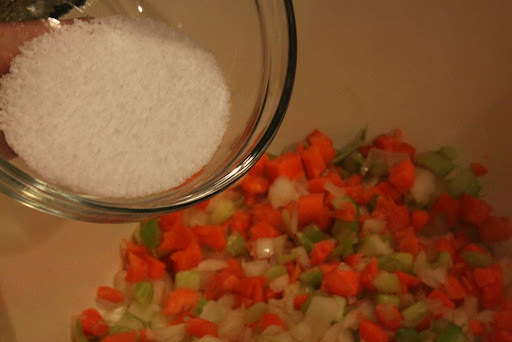 Add the onion, carrot, celery and salt. Cook until the onions are translucent. 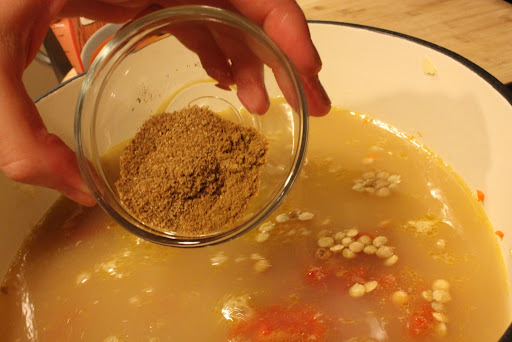 Add lentils, tomatoes, chicken broth, pepper, coriander and cumin. Mix it all up and bring to boil. 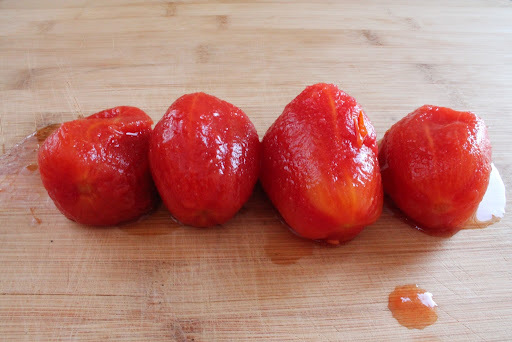 Cover and reduce heat to low for 40 minutes. 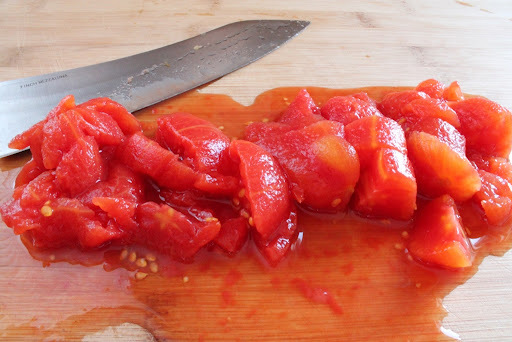 Blend with an immersion blender or carefully scoop into a regular blender and blend to desired consistency. Add some goat cheese on top for some extra flavor. I didn’t have grains of paradise and instead used freshly ground black pepper. 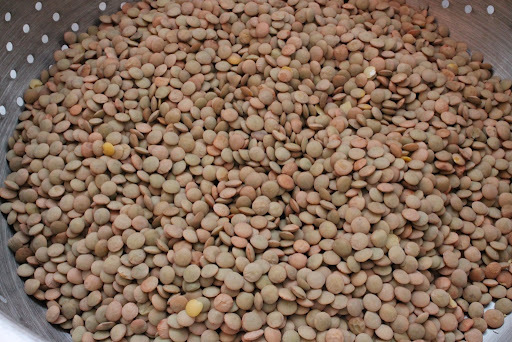 Grains of Paradise is difficult to find in stores but you can order it online. Alton uses it in quite a few of his recipes so I’ll have to get some. 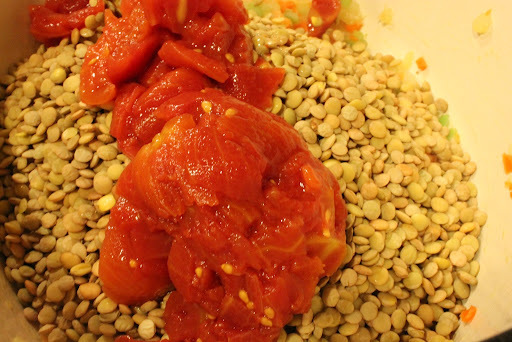 I found some delicious red lentils on sale at Fresh and Easy so I picked them up. These are usually a little more expensive than the green ones but I find them to have more flavor. 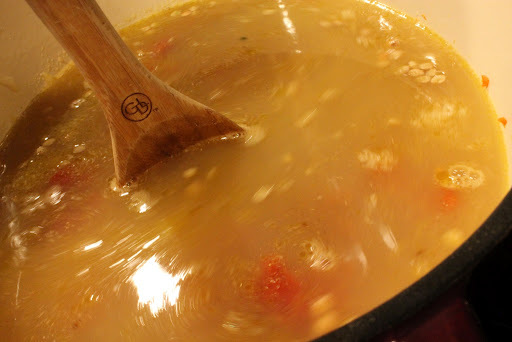 This is one of the best Lentil soups I’ve ever had! 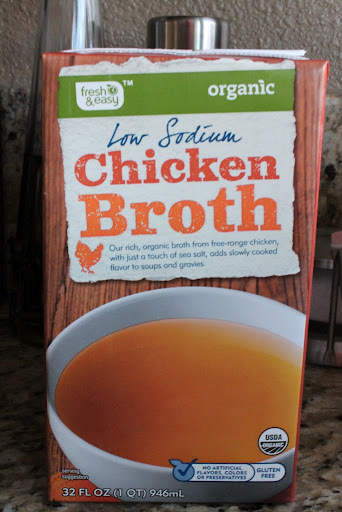 It’s so flavorful and delicious and completely Vegan if you use the vegetable broth. 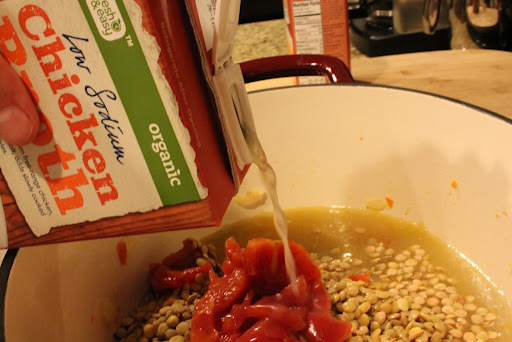 This will absolutely be my go to Lentil Soup recipe!